Young entrepreneur of Ghanaian descent, Tony Kwame Ansah, Jr.
BY TONY KWAME ANSAH JR. When it comes to the African Diaspora, there are those who give back and contribute to the motherland, and those who hold back. Various reasons lead to one situation or the other. 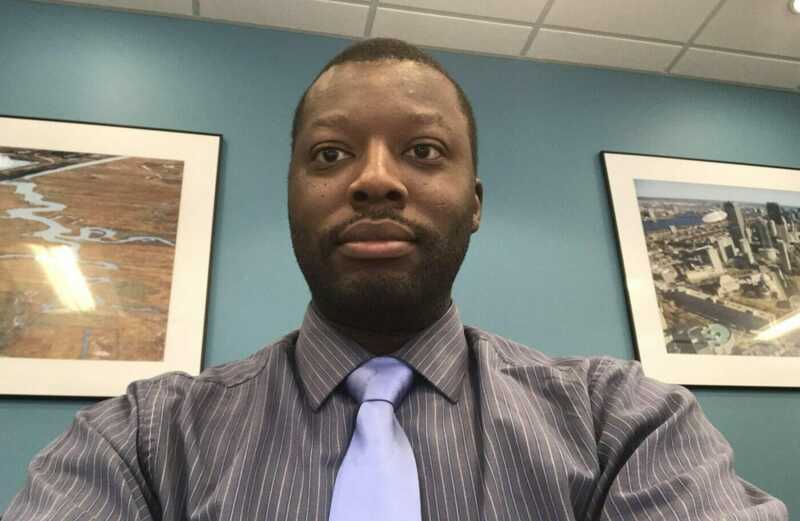 The African magazine recently stumbled on a selfless young Ghanaian-American entrepreneur who is tirelessly building a bridge between Africans right here in the United States and those back home on the continent: Tony Kwame Ansah Jr. This bright young man who has authored several books, agreed to share with us (and you) his inspiring experience. According to MigrationPolicy.Org, about 3.3 million sub-Saharan Africans reside in the United States as of 2015. This African population has an estimated $50,000 household income annually. They are a community that believes in investing in the future as is shown by the fact that of all the immigrant groups in the United States, Africans have the highest percentage of Bachelors, Masters, and Doctorate degrees. Africans also rank high when comparing those that hold professional positions in management, business, science, and arts. Finally, this demographic is rooted in a strong belief in loyalty to bloodline and community. 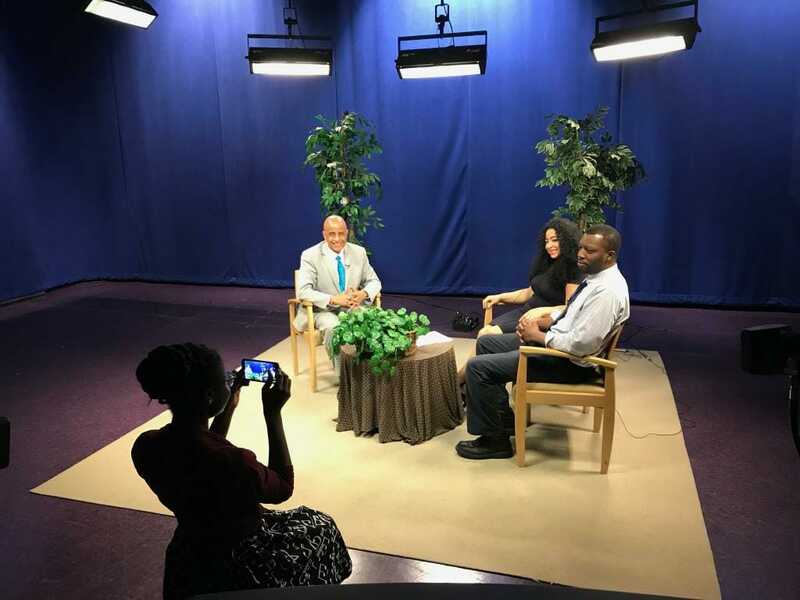 Discussing entrepreneurship endeavors for microbusinesses in Rhode Island with Urban Ventures, a nonprofit organization/incubator in Rhode Island, during a local television program, PEG RI, The Jimi Vincent Show. In the middle of 2017, I thought about building a Pan-African business directory. I saw the need to create a central location for Africans at home and abroad to find entrepreneurs; professionals; businesses; and organizations. A place where there could be an exchange of information to sell products and provide services. In addition, I saw the need for a place to initiate and facilitate collaboration and partnerships among the African Diaspora and African natives. My business directory, which is currently under reconstruction, has roughly 200 registered members to date. In late 2017, I embarked on a two-month journey to raise funds for small nonprofit organizations in Africa. These nonprofits were great visionaries with causes to impact lives. However, they faced challenges to raise funds locally and globally. Luckily, I had a startup enterprise positioned in the United States and sought to facilitate donations from outside of Africa. After going through this campaign process, I noticed that receiving and sending cash donations to Africa was a taxing task, in the sense that transaction routing fees and exchange rates don’t always encourage people to donate to organizations in Africa. Around the second quarter of 2018, I chose to also build an online donation platform to provide valuable information and a solution for donors to support and empower disadvantaged and neglected people in Ghana, especially unemployed women, autistic children, disable adults, needy entrepreneurs, and other individuals or groups. A simple and safe way to donate cash to a cause of choice without paying extra money in fees or overhead costs. A safe and secure way to make online donations to help provide needed services and resources. 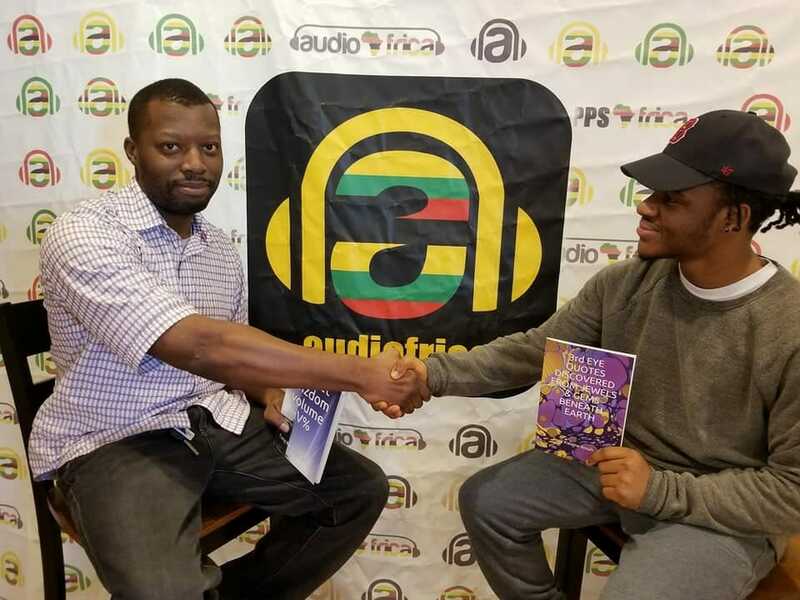 Exclusive signing late last year of a deal with Audioafrica, a Massachusetts-based African music app company, to produce my audiobooks on their platform. This platform launched (first phase) on August 1, 2018 and looks forward to bringing attention to what micro-organizations in Africa (Ghana) do, showcase them to a worldwide audience, give them the proper recognition for their missions and yield abundance of fruits. This is intended to be a simple, easy, safe and secure solution that helps U.S. donors to provide essential support to those who need it the most. From last summer throughout 2018 so far, I have been able to help new African organizations to design and develop their initial structure and to register them at state and federal levels respectively. I provide digital marketing for growth and develop small- and medium-size enterprises for additional income. I am sponsoring a group of 10 nonprofits in Africa for sustainable development philanthropy. Lastly, I am offering advice to microbusiness owners within the African community as a social impact entrepreneur. If you’re wondering where all these initiatives to bridge gaps between Africans abroad and African natives came from, then my background explains it better. I was born and raised by Ghanaian parents in Rhode Island, U.S.A. From a very young age, I was exposed to entrepreneurship and business ownership by Mom, Linda Ansah, and Dad, Anthony Ansah. My parents had a West African convenient store for several years. They sold everything from kenkey, banku, powdered fufu, yam, gari to palm oil. This was where, at age eight, I started to sell candies, mostly to adolescents. Basically, I would buy candies wholesale and sell them for retail. I then saved some of my profit and put the rest back into the childhood business. A couple of years later, I began collecting recycled cans and bringing them to recycle centers to get cash in return. Around the same time, I would buy basketball cards and later sell some of them to enthusiasts. Down the road, I helped my parents with their office-cleaning business. As a teenager and an eighties baby of Hip Hop and Hi-Life music, I found myself writing lyrics about life and society in my bedroom. Those sketched rhymes would become self-published books during my adulthood years. When I got old enough to work at my parents’ store, I did a lot of money transfer transactions from Africans abroad to Africans back home. It was through these exchanges that I realized how much financial support Africans offered family, relatives, and friends. But little did I know that this would later come back around in a circle. By default, I became part of this interconnected and somewhat intertwined world of the African Diaspora and continental Africa. 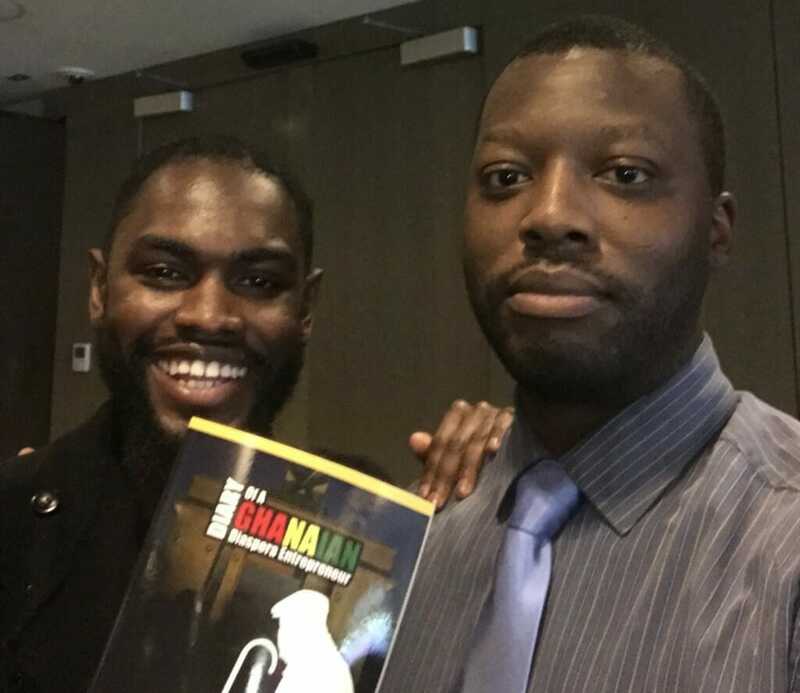 Fellow Ghanaian-American entrepreneur, Prince, and I at a local restaurant in Massachusetts capturing him getting his signed copy of my book a couple of months ago. 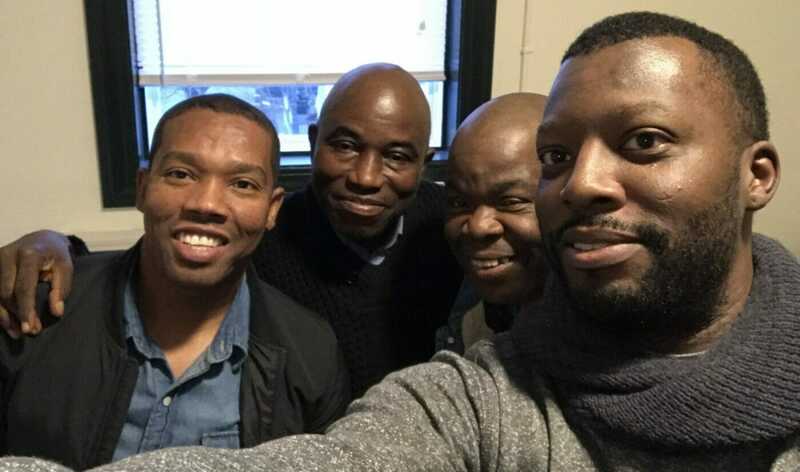 As you can see, there are givers and contributors within the African Diaspora with a purpose to bring about positive socioeconomic changes in Africa and elsewhere. Likeminded folks should join hands to help grow and develop a sustainable social enterprise for Africa/Africans. If you’re a supporter or proponent of bridging this gap even more, won’t you reach out so we can collaborate as a cohesive African community worldwide? Tags: african magazinesAfrican magazines published in the usblack magazinesmagazines africains publies aux Etats-Unissoumanou salifouthe africanthe african magazinethe premier African magazine published in the USTony Kwame Ansah Jr. Afrlican Diaspora in the U.S.